Since the demise of my eBay-bought Denver Instruments AB-250D, I kept lusting after precise balance scales. Having been burnt by a used one, I wanted a new piece of equipment, which would be under warranty. 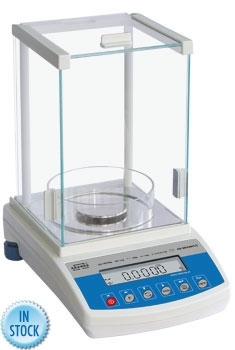 New semi-microbalances would typically cost around $3000 for scales with 0.01mg resolution, something that I just could not justify. There were a few scales that were closer to $1000, but they were only capable of 0.1 mg resolution - and I also could not justify paying this much for only one order of magnitude over the resolution of milligram scales that can be had for $57. Of course, a standard deviation of 0.1 mg means +/- 0.3mg confidence interval - not that great compared to cheap milligram scales. Enter Radwag AS/60/220/C2 - a Polish scale that sells just below $1000 on Amazon . Incidentally, it is made in Radom (hence Radwag) - the home town of Polish armory that makes most of their firearms. Decent specs at one third of the price of comparable US scales, so after thinking about it for about 15 minutes, the order was placed. And here is the manual. You'd think Nevada Weighing, the company that sells these is in Nevada, but the scale shipped from Florida - about as far from Seattle as it gets, so it took me a week and a half to get it. Below are the first impression of this scale. Please understand that I had it for less than a week, and the most important characteristic of it - longevity - I could not evaluate. Check back to see if it reveals some warts over time. Price, of course. This was the reason I bought it. Automatic calibration. The scale senses the difference in temperature from last calibration, and automatically triggers internal calibration when it is turned on. Reasonably quick stabilization time - 10-15 seconds. Stable measurements - the scale drifts very little, never more that +/- 2σ (0.08mg), and mostly less. Accuracy to spec - I ran through part of my ASTM Class 1 calibration set, and the results are within +/- 3σ (0.12mg) from NVLAP certificate. Has a serial port. Theoretically, can be controlled by software. Standard deviation is about twice of what is common in this class - 0.04mg vs 0.02mg. Linearity is 0.07 - also about twice that of its more expensive cousins. You may think it's not a big deal, but for me this means that I constantly have to consult the manual when navigating the menus. Considering that the scale is $1000 and the cost of a normal, dot-matrix LCD display cannot be more than $1, honestly, I think this is stupid. Often it is just amusing. But sometimes I found myself scratching my head trying to understand how this thing works. The manuals are on the CD. All the manuals. For everything that Radwag has ever built. 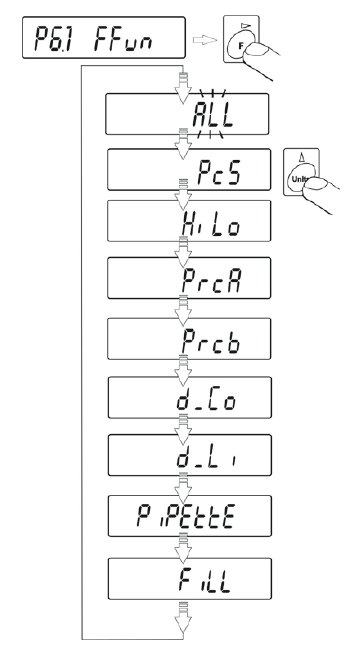 Also, all the programs ever written for ALL Radwag products are on the same CD - and there's no way to know which of them are applicable to this particular scale, and which are not, without installing them all. This is a common problem for almost all scales, not just Radwag, but I wish they had an opening at the FRONT of the wind shield, rather than at the sides. And I have no idea, given the height of the shield, how the top slide could ever be useful. Also, the circular secondary shield inside the chamber makes loading difficult, and I am not sure if it accomplishes much else. So basically, the spectre of Communism seems to be still alive and well and haunting in Poland - all the stupid design decisions that were so characteristic of Soviet Union and its satellite states are duly manifested in this piece of equipment. Then again, at $2000 off comparably spec'ed Mettler Toledo and Ohaus - I think can live with that. I just hope that reliability would be better than typical Soviet Equipment. Nothing so far. I had it for a week. We will see how long it will survive :-).